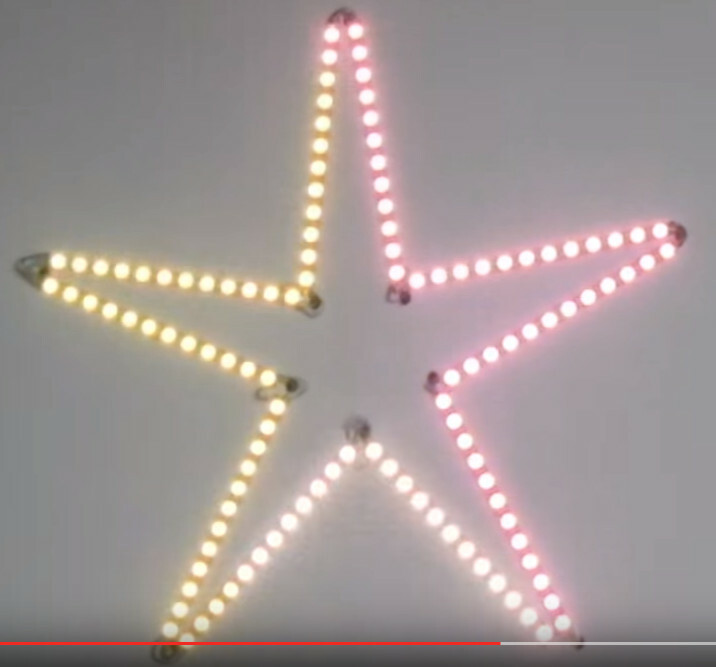 This an example of using a light strip of individually addressable RGB LEDs to make a star for a Christmas decoration. Two meters of APA102 LED stripe were used, cut every 12 LEDs. Code runs on a MicroMite with power provided by a large external power supply.